The holidays are here! Lots of family get-togethers, lots of fellowship and fun, and usually lots of food. Family dinners, parties, family breakfasts, more parties. Is there any way to avoid gaining five or ten unwanted pounds during the extended holiday season? Thanksgiving through early January can be a pretty long time. In order to maintain that healthy weight range you've worked hard to achieve, it's important to keep following the good habits that got you there. This type of food plan is realistic and doable. There's no crazy dieting involved, no highs or lows. You are eating healthy food with no restrictions, choosing from all basic food groups. You eat anything you want, being sure to follow guidelines on portion sizes. The results are weight loss that stays lost. Because you're exercising regularly, your body sheds fat pounds and adds a few pounds of lean muscle mass. Your metabolism becomes optimized to burn fat, even when you're resting. If you've been following such a food plan your metabolism is already doing what it's designed to do. During the holidays you'll continue to burn fat for energy, provided you don't overload your system with too many extra calories. 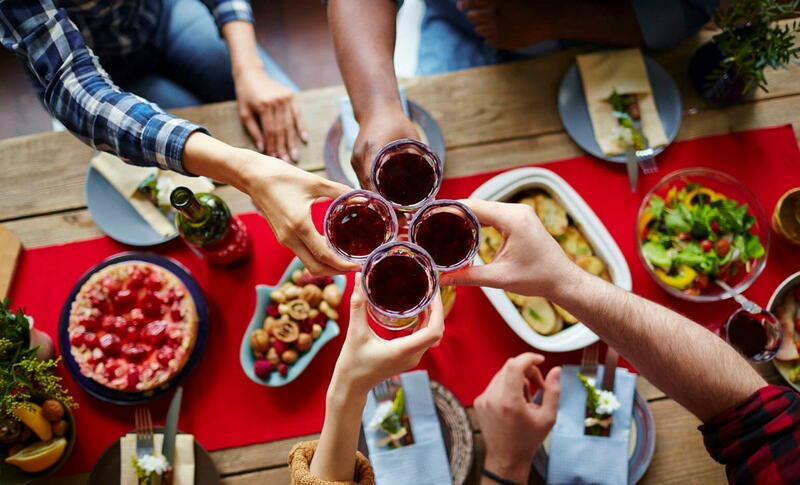 Try to schedule your free day (when you can eat anything you want, as much as you want, and whenever you want) to coincide with a big holiday get-together. When you're at a party and it's your free food day, you can indulge as much as you like. It's a part of your regular food plan. That's a pretty good bonus! Also, alcohol consumption often goes up during the holiday season. Punch, egg nog, all sorts of "holiday cheer", these beverages are super-high in calories. Again, your free day is a good day to indulge yourself.